It was another week of attendance at varied races for Aycliffe runners. These started on last Wednesday (July 25) with members taking part in the Darlington Trail Race series with the Rocket Trail at Middleton St George. Dez Fielden was first home for the club in 19.32 followed by Rob Nicholson in 25.04, Gemma Holland in 29.12 and Lindsey Brown on 29.48. On Friday July 27, two members travelled to South Shields for the Temple Park 5k. John Surtees finished this in 17.61 with Michelle Jane finishing in 21.01. There was another good turn-out at the parkruns in the area this week despite the turn in the weather and the wet conditions that Saturday. 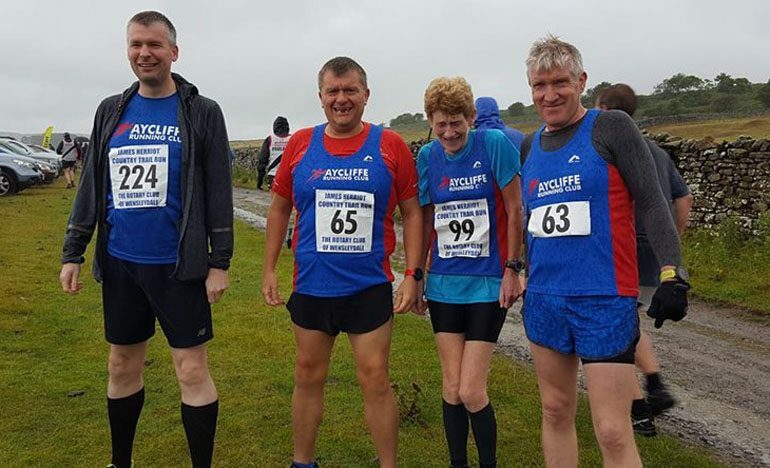 On Sunday, four members travelled to take part in the James Herriott Country Trail run near Aysgarth in North Yorkshire (pictured top). This was a 14k trail race over what was a very hilly course and of course this was made more challenging by the weather. Dave Blewitt was first home for the club in 76.35 (managing to knock 4 minutes of him time in this race last year), followed by Andrew Lumley in 81.13, Trish Kay in 94.10 and Ian Baronowski in 96.60. Finally, on Monday Alan Wilks competed again in the Track and Field League at Monkton Stadium where he participated in the 800m’s race. He completed this with a PB of 3.3.8. 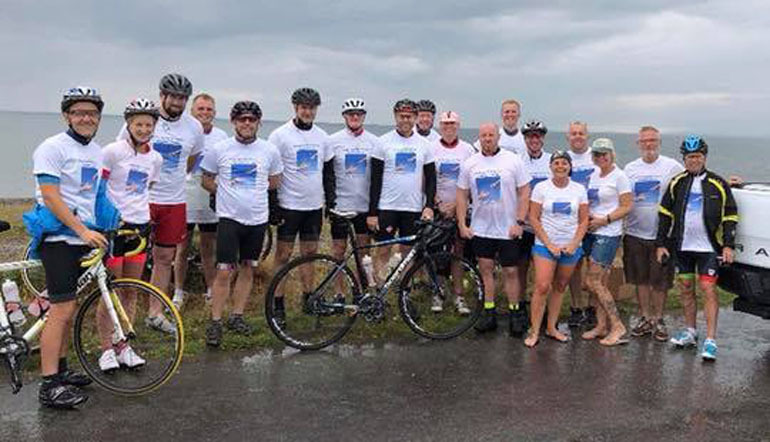 It should also be mentioned that over the last weekend, several of our runners were participating in a cycling challenge by doing the Coast to Coast (pictured below). This was arranged by Austin Donoghue to raise funds for local cancer support groups who have supported his family. They completed the challenge over two days, starting Saturday morning at Workington and finishing Sunday afternoon at Roker. Whilst this is a challenge in itself, it was made more difficult with the weather conditions having to deal with rain, hail and wind. Some of the people taking part were relatively new to cycling also. A big well done to all.